Up to 5 lbs. 6 lbs. - 10 lbs. 11 lbs. - 25 lbs. 26 lbs. - 40 lbs. 41 lbs. - 75 lbs. Over 75 lbs. 101 - 200 ft./1000 yds. 301 - 400 ft./1000 yds. 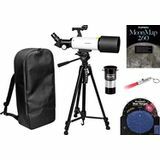 The 10x50 Binocular Stargazing Kit includes everything you need for a fun night under the stars. 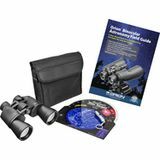 10x50 binoculars, RedBeam LED flashlight, Star Target Planisphere, and the Binocular Astronomy Field guide. A perfect gift for the beginning astronomer! 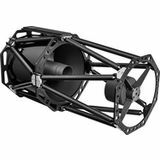 Our 10" f/8 Truss Tube Ritchey-Chretien combines low-expansion quartz mirror optics, a Serrurier carbon fiber truss system, and a CNC-machined 3.3" dual-speed linear bearing focuser in what can only be described as an astrophotographic powerhouse. 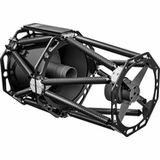 Our 12" f/8 Truss Tube Ritchey-Chretien combines low-expansion quartz mirror optics, a Serrurier carbon fiber truss system, and a CNC-machined 3.3" dual-speed linear bearing focuser in what can only be described as an astrophotographic powerhouse. Our Magnetic 3-Pound Dobsonian Counterweight helps balance big steel-tube Dobs when heavy accessories are added to the front end. Weighs 3 lbs. 2 oz., with big grip handle and padded bottom. Strong 50-lb. pull strength to stay firmly in place. Control any Orion GoTo mount or telescope wirelessly with your iOS or Android smartphone! 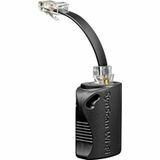 All you need is the SynScan Wi-Fi Adapter and the free SynScan Pro app. Intuitive touchscreen interface. You'll never go back to the wired handset again! 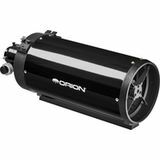 Orion's 8" f/12 Classical Cassegrain excels for high-resolution lunar and planetary viewing and imaging. It offers serious magnifying capability in a 25" tube. Quartz mirrors, 2" dual-speed linear bearing Crayford, and D- and V-style mounting bars. 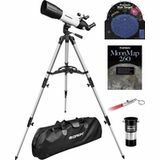 Our StarBlast 90mm Travel Refractor Kit is outfitted with a stainless steel tripod and two-way pan head plus a host of great accessories which all fit neatly into a case with shoulder strap for easy transport. Perfect for day or night observing! A complete telescope solution you can take anywhere - right on your back! 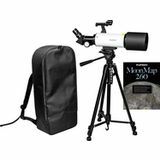 The GoScope 80mm Backpack Refractor Kit is an 80mm widefield telescope complete with tripod, two eyepieces, Moon filter, Moon map, Star Target, Flashlight, and Barlow Lens. 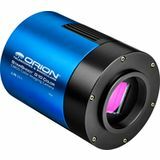 The Orion StarShoot G10 color CMOS Imaging Camera is our next generation of astro imagers. 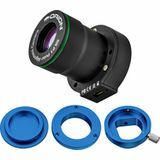 Featuring a two-stage coolor, 2-port USB hub, and super sensitive Sony ICX294 4/3" chip. Fully ASCOM compatible, and excels at planetary and nebulae imaging. 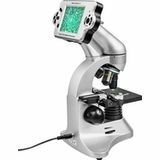 The MicroXplore 5mp LCD Microscope kit lets you enjoy views through an eyepiece, or through the included 3.5" LCD screen. 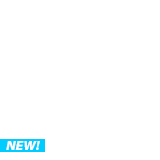 Magnification ranges from 40x-640x, (to 960x via digital zoom). 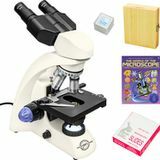 Includes extra accessories and a case for on the go microscopy! 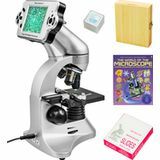 The MicroXplore CM-1 Compound Biological Microscope Kit provides beautiful images of the microscopic world. Magnification from 40x-1600x, and includes dual speed focus, mechanical stage, condenser, iris diaphragm, and extra accessories to start out. 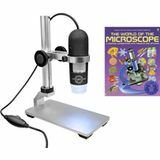 The MicroXplore 2mp Handheld Digital Microscope kit provides detailed images of all objects you point at, providing high resolution magnification, right at your fingertips. Connect it to a Windows computer, and be amazed at the level of detail seen! 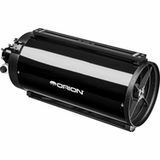 Orion's 6" f/12 Classical Cassegrain excels for high-resolution lunar and planetary viewing and imaging. It offers serious magnifying capability in a 20.5" tube. Quartz mirrors, 2" dual-speed Crayford, V-style mounting bar, and dual finder bases. The MicroXplore 5mp LCD Microscope lets you enjoy views through an optical eyepiece, or through the included 3.5" LCD screen. Magnification ranges from 40x-640x, (up to 960x via digital zoom). Includes accessories and a case! Our StarBlast 90mm Travel Refractor is outfitted with a stainless steel tripod and two-way pan head plus a host of great accessories -- which all fit neatly into a carry case with shoulder strap for easy transport. Perfect for day or night observing! 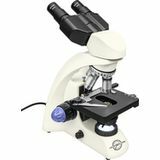 The MicroXplore CM-1 Compound Biological Microscope provides beautiful images of the microscopic world. Magnification ranges from 40x-1600x, and includes dual speed focus, mechanical X/Y stage, condenser, iris diaphragm, and binocular viewing head. 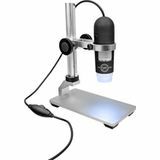 The MicroXplore 2mp Handheld Digital Microscope provides detailed images of any object you point at, providing high resolution magnification, right at your fingertips. Connect it to your Windows computer, and be amazed at the level of detail seen! Here's a complete telescope you can take anywhere - right on your back! 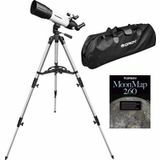 The GoScope 80mm Backpack Refractor is an 80mm widefield telescope complete with tripod, two eyepieces, Moon filter, Moon map, more! Ideal for daytime or nighttime adventures. 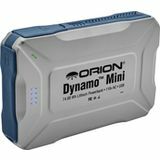 The Orion Dynamo Lithium Powerbank features a generous 74.88 Watt-hour battery, and provides two USB outputs, as well as an 85W AC outlet. The incredibly small form factor makes this ideal for hiking, camping, and anywhere you need a boost in power! 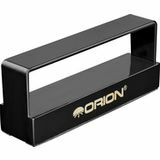 The Orion StarShoot P1 Polar Alignment Camera provides an easy and foolproof method to align your SVP/Atlas/Atlas Pro mount. Forget about kneeling down in the dirt, staring through a polar finder - let the P1 align your mount fast and accurately.